FULLY INSURED AND REGISTERED WITH THE INSTITUTE OF CHIMNEY SWEEPS. 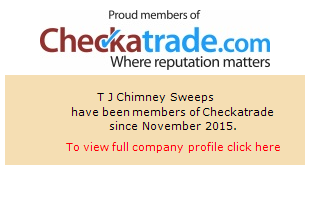 TJ Chimney Sweeps is a well established, independent business based in Bedhampton, Havant. We provide an expert chimney sweeping service to both residential and commercial customers throughout the area. Above all our fully trained chimney sweeps are polite and courteous and will sweep your chimney in a clean and efficient manner ensuring all work is completed to the highest standards.